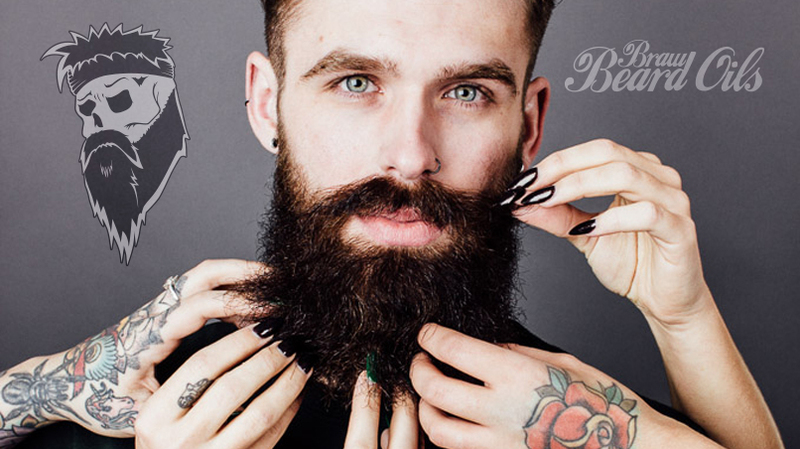 Often wonder how to make your beard soft and irresistible? Or are you happy with it feeling like a cactus? If you like the cactus chin, you may want to stop reading this article now, we don’t mind. However, if you want to soften that chinsulation up and make it more attractive to that special someone, give them the best seat in the house and something to cuddle in to. If that sounds good, you will find this article useful. Ok, your beard hair needs attention too, just like the hair on your head, it requires care to look it’s best. If you are not shampooing your beard 3-5 times per week, you may be leaving dirt in there which may result in spots and irritation on the skin’s surface. 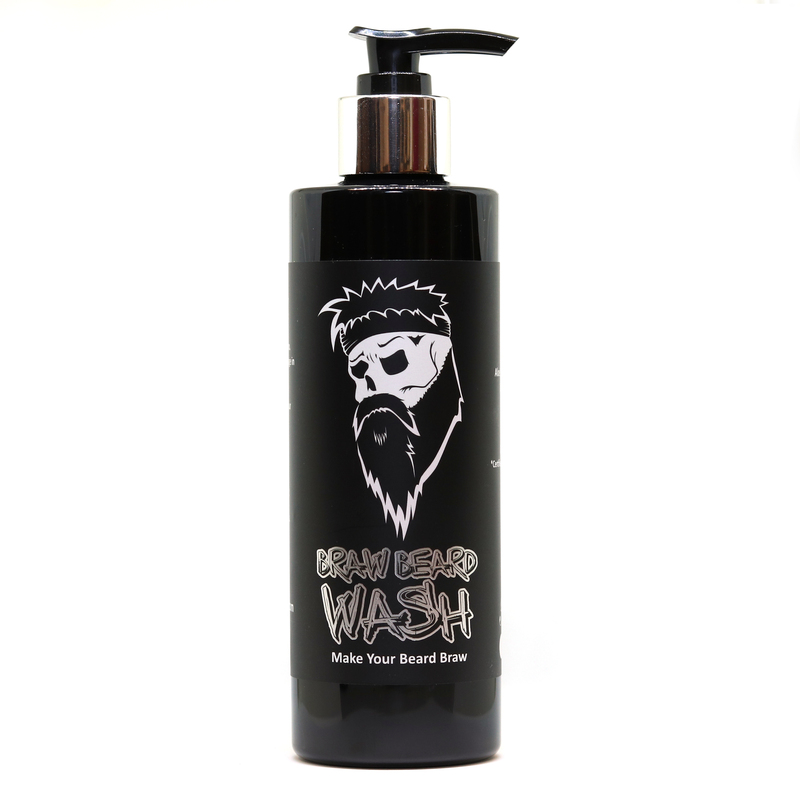 Braw Beard Wash has been specially formulated for facial hair, we added aloe vera to combat dry skin and beard dandruff. 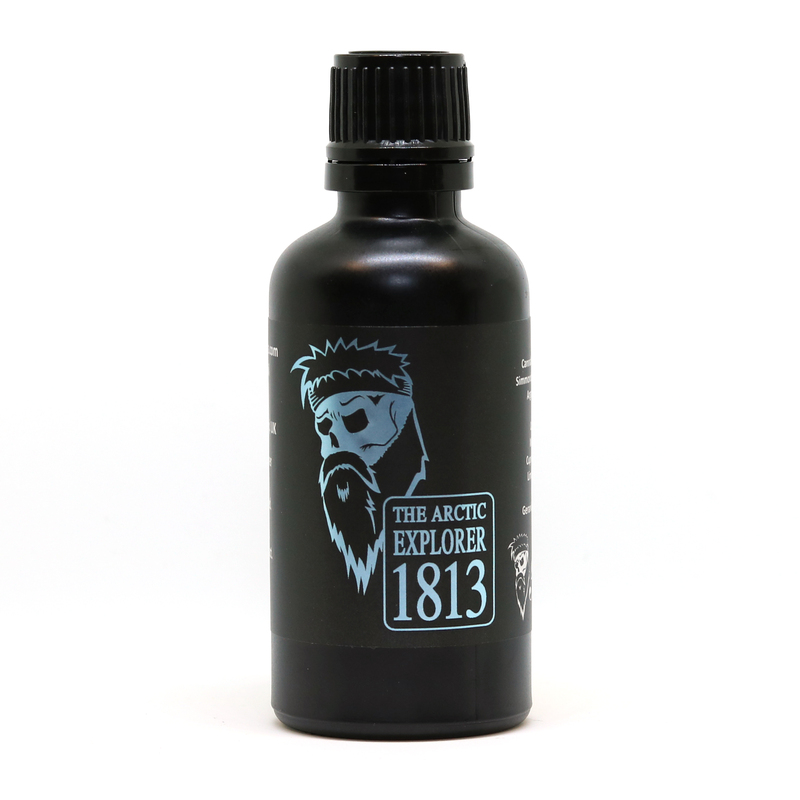 It is a natural shampoo, unscented so it does not interfere with the scent of your favourite beard oil. Apply to wet beard and massage in for 30 seconds before rinsing thoroughly, make sure your wash it all out, leaving some residue may result in irritation. Towel dry your facial hair gently, once it’s dry, your beard will feel soft already. BUT we’re not done there! 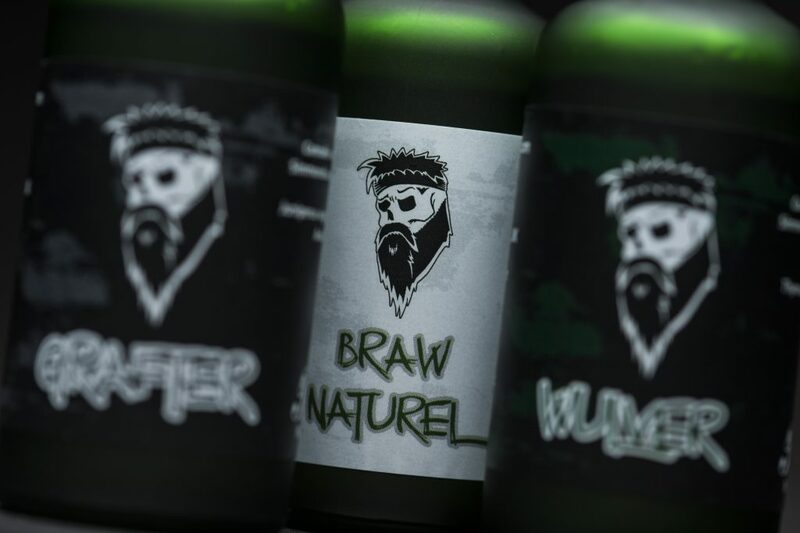 Braw Beard Oil is a natural conditioner which is designed to be left in your facial hair throughout the day. It is made from plant based oils, which moisturise the hair, making it appear healthy and soft. Ok, so now your beard has been gently towel dried, you’ll want to apply some beard oil. 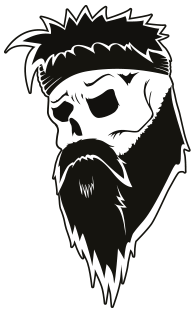 Dispense a few drops of beard oil into the palm of your hand, rub your hands together, then massage into your beard. Make sure to get full coverage over your facial hair whilst rubbing right down to the roots and skin, this will keep the surface moisturised to condition the hair throughout the day. Then use a comb to detangle the hair, the beard oil will help the comb glide through the hair making detangling easier. Comb from root to tip slowly to save any tugs. 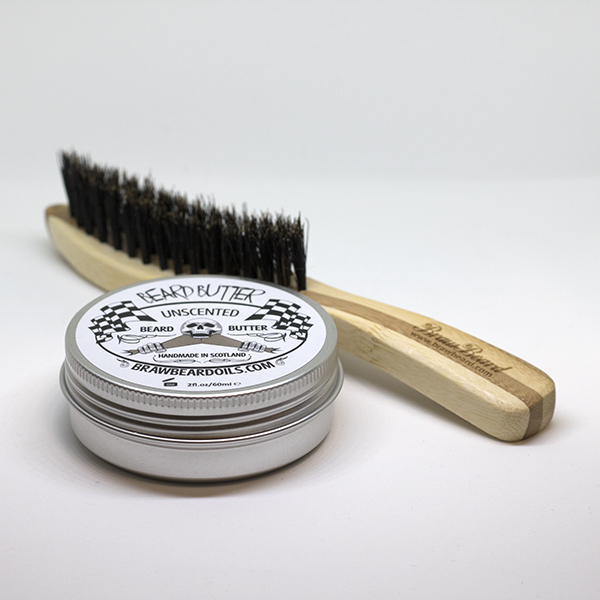 Braw Beard Butter is similar to beard oil, however it is made from natural butters and wax, the beeswax element is great for holding wispy hairs in place to avoid looking like a caveman. The cocoa and shea butters are great for moisturising the hair and skin. Now I would recommend applying some beard butter. Scrape a pea sized amount out of the tub, put it in the palm of your hand and rub your hands together to melt it down to an oil. Once it is an oil, apply to your beard in the same way as the beard oil before. You may be thinking why apply an oil twice? The butter will set ever so slightly, keeping the wispy hairs in place and leaving your beard feeling super soft. The last step, brush your beard with a boar bristle brush. This will distribute the product thoroughly through your facial hair and disperse the hair evenly, making the beard appear fuller and softer. Finally, stoke your soft beard, good eh? Now go and enjoy the attention. I hope this answers the question how to make your beard soft and irresistible?